Happy Friday! I hope you all had a fantastic Christmas/Hanukkah/Kwanza/etc. 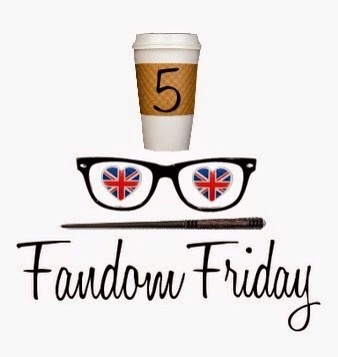 Today is a join Top 5/Fandom Friday post. 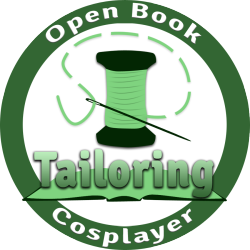 We’re barreling towards the end of the year (and my birthdaaaaaay huhuhu), so today I’m talking about my 2015 goals for the Geeky Seamstress. The older I get, the more I dislike the term “resolution.” It feels so finite. I always start off with with the best intentions (“I’m going to get to the gym six days a week!”, “I’m going to read 50 books this year!”), but then I inevitably stumble and it feels like the year is a waste. How silly is that? Instead, I’m focusing more on establishing habits that will lead to my larger goals. Establish myself as a business entity and open an online store: I’ve spent the last few months researching the ins and outs of owning and operating a one-woman business, and I feel like I’m finally ready to take the plunge. I’ve been working on building inventory for the last few weeks and I hope to share the final results with you soon. Create more on-going tutorial content: You guys really liked my Spandex 101 series, so I’m looking into creating similar content. I’ve been working on another series which will be ongoing. The first post will be up on January 5th! Improve my photography skills: I feel like photography has been a bit of an Achilles heel for me. I’d like to learn more about photography for product photos and so that I can bring a bit more interest to my cosplay and me-made photos. Explore advertisement opportunities: I’ve been putting this one off for a while. For a long time, I thought my blog wasn’t “big enough” to warrant blog ads. And yeah, my overall reach isn’t Earth-shattering, but the more I look into it, the more an ad service like Passionfruit makes sense. It’s a great opportunity to increase exposure and have more flexibility to create content. Obviously, I care about what you guys see on this site, so I’m focusing on ads that I think you would care about. 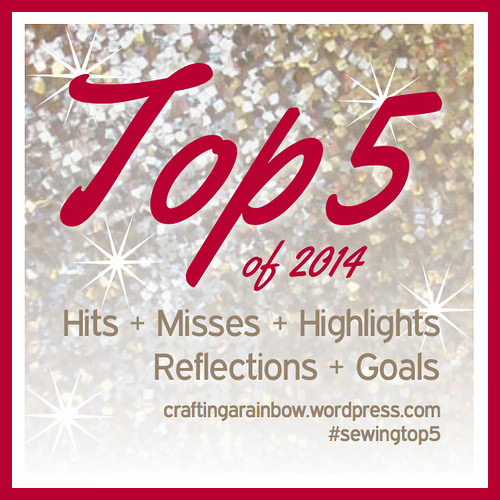 Focus on quality over quantity: This is applicable to both my posts and my sewing projects. It’s easy in our information saturated culture to feel the need to post CONSTANTLY. Next year, my big goal is to step back and focus more on quality. Bonus: Keep an open mind to new opportunities. I’ve been approached by a couple of outlets recently to write content. I was hesitant at first, but I’m going to try out these opportunities and see how they work out. I’ll keep you posted! Also, I’d really appreciate it if you would take just a few minutes to fill out this quick reader survey. I’d love your input on this blog and things you’d like to see more (or less) of. If you can’t see the survey below, you can fill it out here. I think you have some pretty awesome goals here. I can’t wait to see what you offer in your online store! Thanks! I’m kind of nervous about opening a store, but I’m also really looking forward to it! These are some great and specific goals! I can’t wait to see your store! I love all your cosplays and the work you do.